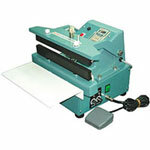 The Double Impulse Foot Sealer is ideal for sealing materials that require higher temperatures. 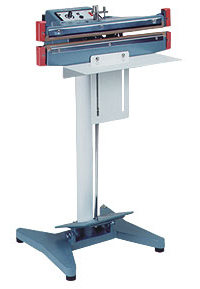 With the help of top and bottom sealing jaws this double impulse sealer is great for heavy duty applications such as gusset bags that are over 10 mil and up to 20 mil. 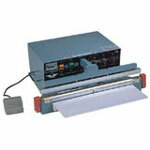 This double impulse sealer will make a wide seal and fuse the material from both sides. 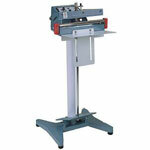 Each Double Impulse Foot Sealer comes complete with adjustable worktable and stand. 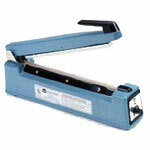 Order your Double Impulse Foot Sealer at Boatman Marking today.